Kongu Engineering College, one of the foremost multi professional research-led Institutions is internationally a recognized leader in professional and career-oriented education. It provides an integral, inter-disciplinary education – a unique intersection between theory and practice, passion and reason. The College offers courses of study that are on the frontiers of knowledge and it connects the spiritual and practical dimensions of intellectual life, in a stimulating environment that fosters rigorous scholarship and supportive community. This Institute is a great possession of the committed Trust called ‘The Kongu Vellalar Institute of Technology Trust’ in Erode District, Tamilnadu. Nearly 150 hours of training is given to all eligible candidates as part of campus placement training program. Conducts soft skills training program (100 hours) for all pre final year students through our staff trained by Infosys Technologies. Arranges training program on soft skills and technical subjects for staff and students through Corporates. Conducts on line test for improvement of English Language. Campus: Kongu Engineering College, one of the foremost multi professional research-led Institutions is internationally a recognized leader in professional and career-oriented education. It provides an integral, inter-disciplinary education – a unique intersection between theory and practice, passion and reason. The College offers courses of study that are on the frontiers of knowledge and it connects the spiritual and practical dimensions of intellectual life, in a stimulating environment that fosters rigorous scholarship and supportive community. This Institute is a great possession of the committed Trust called ‘The Kongu Vellalar Institute of Technology Trust’ in Erode District, Tamilnadu. The noble Trust has taken the Institute to greater heights since its inception in 1983 and has established the college as a forum for imparting value based education for men and women. The word ‘Kongu’ refers to a region of the southern state of India and the term ‘Kongu Vellalar’ specially means the agricultural community, predominated in the west of Tamilnadu, which was deprived of educational facility in those days. To achieve technical excellence in their rural areas, 41 philanthropists from different walks of life who realized the need for technical education for their region’s economic strides, formed collectively a Trust called ‘The Kongu Vellalar Institute of Technology Trust’ and they tried to promote and develop equality of opportunity for the rich and the poor. Affiliated to Anna University of Technology (Coimbatore),the college has completed 25 years of dedicated service to the people of India and abroad in the field of Technical Education. 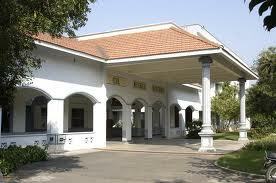 The Institution has an area of 173.25 acres of land richly endowed with beautiful greenland. The college with its state-of- the- art infrastructural facilities and excellent academic records has earned recognition as one of the reputed educational institutions for men and women in India. Central library: The College Library established in the year 1984, was housed in a classroom with 700 books to start with. In 1986 when the college was shifted to its permanent building, the library occupied a lecture hall in the first floor of the main building. In 1991, it was shifted to the present building, C.D. Memorial Library, in honor of the founder Correspondent, Thiru. C. Duraisamy. In the year 2005, the library buildings were extended from 5 sections to 12 sections with discussion rooms, modern furniture, and air conditioning. The new building includes a separate hall for Tele conferencing through which current awareness programmes and information services today can be disseminated throughout the world. The Library transactions and library entries are carried out by Bar Code Technology. It has the facility of Web OPAC-online search. So the library catalogue can be accessed through intranet, in future through internet. And the library subscribes to INDEST AICTE- CONSORTIUM for utilizing the E-resources.